On Sunday, the western folk band Sunfire joins us again. They will play on Faire Stage at 12:30h. Their music is a blend of folk, rock, country en bluegrass. You’ll easily pick up on this western folk vibe when you listen to their music. Expect raw vocals, enthralling tales, and irresistible rhythms and melodies. 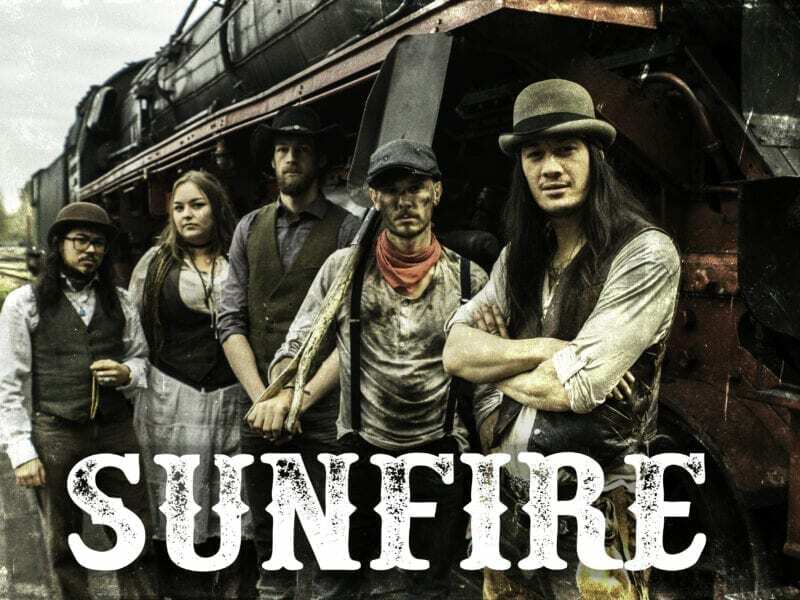 Sunfire has played at Elfia before, always making sure to throw a great western party. Their music can be compared to the Sonoran Desert: pure, hot, wild, and unpredictable. A deadly combination to any music lover. They’ve conquered the hearts of many fans in a very short amount of time. We’ll let you in on a little secret: they’re even better live! The tunes are catchy and the energy on stage will make you want to party. Seeing Sunfire perform comes with a warning: you may get addicted. Beware: you’ll probably start to dance, and you won’t be able to get the songs out of your head! Don’t believe us? Come and see yourself on Sunday at 12:30h!